I’m fortunate to live in an area with an amazing farmer’s market. This is the real deal: everything sold there is grown locally and marketed by the farmers themselves. And by far my favorite stand at the market is Brunty Farms. I stop by every time I visit the market to pick up a few dozen eggs and a chicken or two. The chickens roast up juicy, moist, and flavorful; and the eggs are by far the best I’ve ever eaten. If I run out of eggs a few days before market day, I’ll change my baking schedule rather than buy grocery store eggs. Brunty Farms is known for its pasture-raised chickens, which literally have the run of the farm. But Brunty is also gaining a reputation for its pork, turkeys, heritage poultry, and produce. And, to my great delight, they’ve also begun raising ducks. I’ve purchased duck eggs from them a few times, and recently was fortunate to get my hands on one of their fresh ducks. Mel e-mailed me a month or so before they were planning to process the ducks to see if I wanted one. Of course I said yes, and last week my duck was finally ready! The duck was on the smallish side — about 4 pounds — and in retrospect, I probably should have roasted it whole. But I had other plans for it, so as soon as I got it home, I began butchering it. 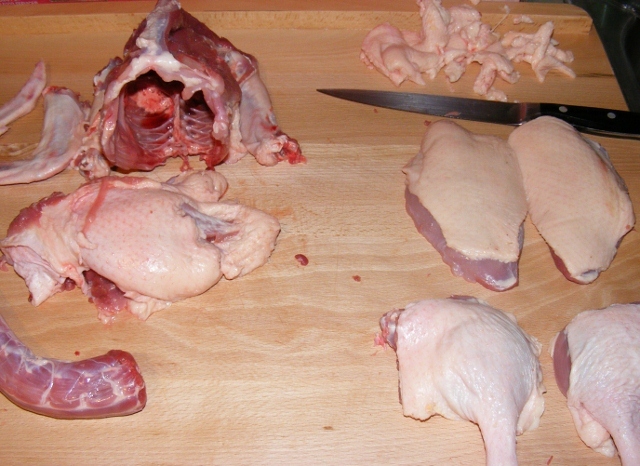 I’m not an expert when it comes to butchering poultry, but ducks are actually pretty easy to take apart. They’re connected by layers of fat, and it’s easy to follow the fat lines to remove the breasts, legs, and wings. And the bones are light, brittle, and easy to cut through at the joints. I froze the wings, carcass, and other miscellaneous parts to use for stock. I put the legs in the fridge to use for duck confit. And the breasts became dinner that evening. In keeping with the quality I’ve come to expect from Brunty Farms, this was the most tender and flavorful duck I’ve ever made. I don’t know whether they will continue raising ducks at the farm, but I sure hope so. And I can’t wait to get my fresh turkey from them for Thanksgiving! 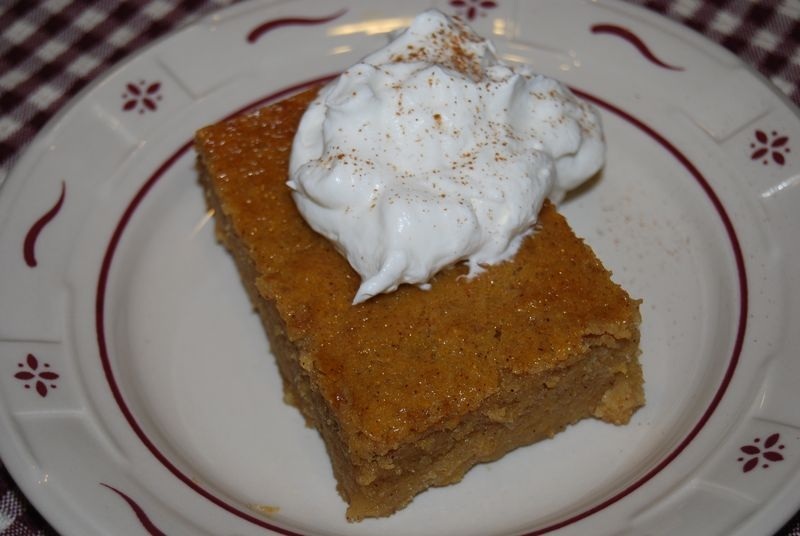 I recently hosted a Pumpkin Dinner Roundup. That’s right: an entire meal featuring pumpkin! 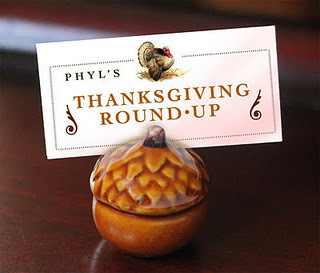 I had so much fun, I decided to invite all my baking friends to join me for an early Thanksgiving Dinner. We agreed on a time and picked our dishes, then I got busy cleaning the house and anticipating everyone’s (virtual) arrival. Thanks to Mike for the Awesome Place Card!!! Abby provided our first course — Butternut Squash Bisque. 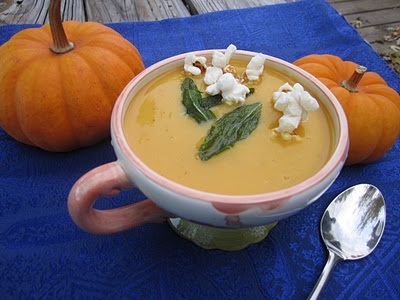 We don’t usually have soup with our Thanksgiving meal, and after trying Abby’s creamy, indulgent bisque, I think I may have to remedy that! The fried sage and popcorn garnish was fun, festive, and delicious! What a great way to start a meal. I think everyone was surprised when our next guest showed up. Knowing how Nick Malgieri loves to get together and share recipes with other cooks, I wasn’t surprised at all. 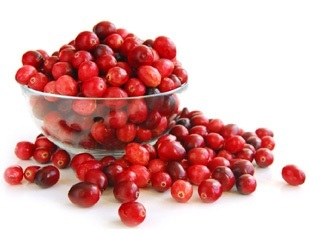 And once I saw the Cranberry Orange Relish he brought, I was glad I had taken the chance and invited him to the party. I was recently introduced to Jeanette, who hosts a blog called The Whimsical Cupcake, and I was so pleased that she accepted my invitation. 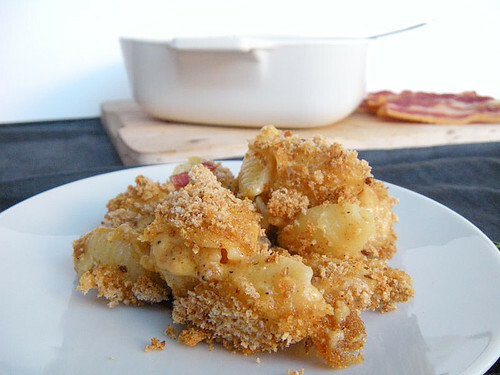 I was even happier when I saw what she brought: Beer and Bacon Macaroni and Cheese! In my humble opinion, there is entirely too little beer at most Thanksgiving dinners. And you can never go wrong with mac and cheese. Nancy brought our next dish, Carrot Soufflé. This was one of the dishes I was most excited to try. Like most everyone else, I love candied sweet potatoes and look forward to them on Thanksgiving. 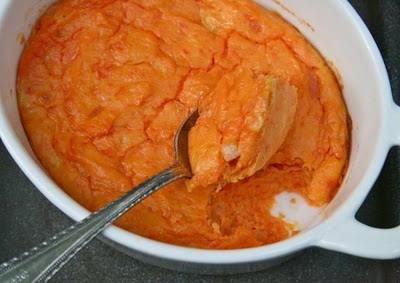 But this savory, creamy carrot soufflé made me forget all about candied yams. 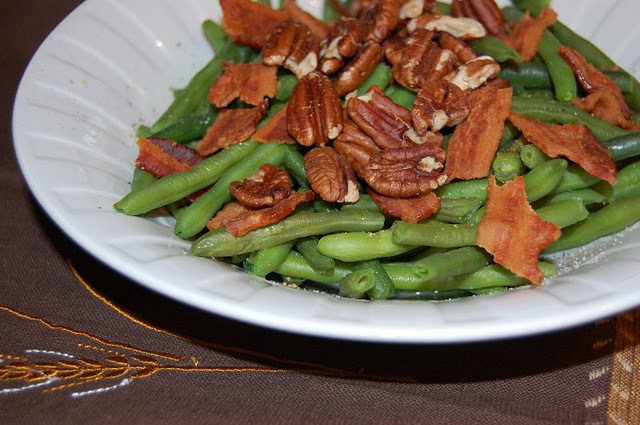 A must-have dish for Thanksgiving dinner is something with green beans. Like many of you, we always have green bean casserole with mushroom soup and crunchy onions on top. Not this year! Peggy left that old standby in the dust with her Gingered Green Beans. Ever industrious, our friend Hanaâ signed up for two dishes. 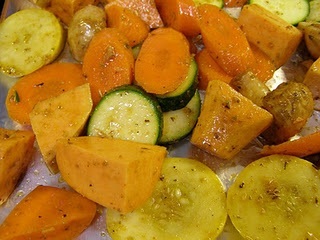 For her first offering, she brought these wonderful Mediterranean-style Oven-Roasted Vegetables. I love the smell of vegetables roasting in the oven, and these were absolutely heavenly. Renee signed up to bring one of the dishes without which the Thanksgiving table wouldn’t be complete. Call it stuffing or dressing (in eastern Pennsylvania, they call it filling), just make sure there’s plenty of it! 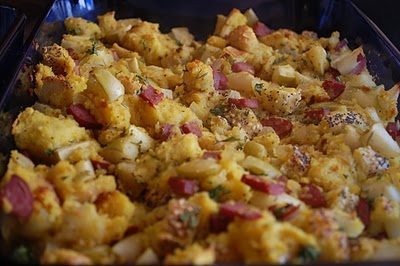 Renee’s Cornbread Dressing with Sausage and Apples had a lot of texture, as it was made with three different kinds of bread. And the sausage, apples, and white wine really gave it great flavor. And right next to the stuffing, you have to have mashed potatoes. God bless Glennis. She brought not one, but two kinds of mashed potatoes for us to try. 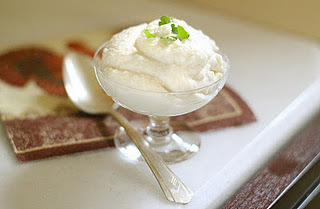 The first, buttermilk mashed potatoes, is a recipe by Ina Garten that I’ve made (and loved) many times. The other recipe, by the Pioneer Woman, raises potato decadence to new heights by adding cream cheese. Glennis and her husband had a hard time deciding which recipe they liked best. Personally, I had to try several helpings of each and still haven’t made up my mind. Maybe I need more…. And for those of you who like mashed potatoes but want something a little different, Mike brought these amazing Cauliflower “Potatoes”. They are as delicious as they are fancy. As the host, I decided to provide the main attraction. Besides, I’m always looking for an excuse to fill the house with the aroma of roast turkey. And speaking of Ina, I based my Roast Turkey with Truffle Butter on one of her recipes. Turkey slathered in butter seasoned with truffle salt and truffle oil. How bad could that be? Not bad at all, as it turns out. I let everyone pick what they wanted to bring, but I was secretly hoping that Di would sign up for some kind of bread or rolls, as she always does such an amazing job with them. 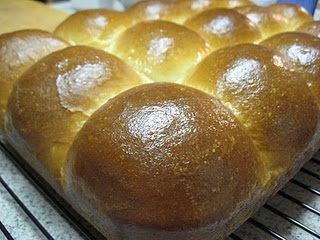 She didn’t disappoint, and showed up with these beautiful, fluffy, and delicious Make-ahead Dinner Rolls. I have to admit, I slopped some extra gravy on my plate just so I could sop it up with one of these rolls. 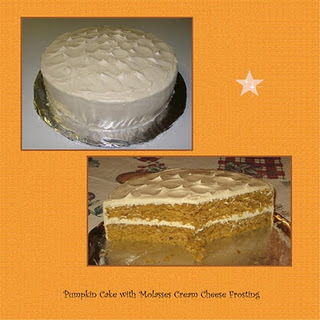 And as if her oven-roasted vegetables weren’t enough, Hanaâ also contributed a Pumpkin Layer Cake with Molasses Cream Cheese Frosting. I’m sure she didn’t bring this just because of my love for pumpkin, but buttering up your host never hurts. Finally, we have a traditional Hoosier dessert from a transplanted Hawkeye. Kayte is responsible for this whole dinner, as she planted the idea in my head when I hosted the Pumpkin Dinner Roundup. 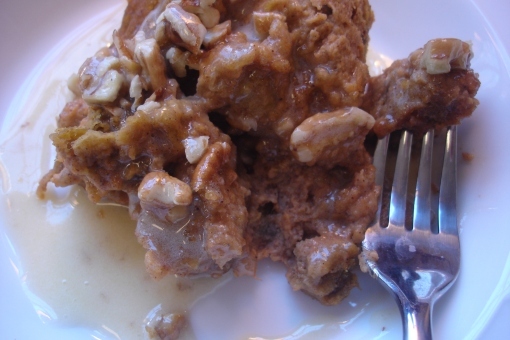 So it’s fitting that she should bring this satisfying, belt-loosening meal to a sweet finish with her Persimmon Pudding. I hope you saved some room, because you definitely don’t want to miss out on this one! Well, that wraps up this amazing Thanksgiving feast. Thanks for coming. We really enjoyed having you here. And don’t worry about the dishes. The girls and I will clean them up after we sleep off some of this food. I don’t know about you, but I’m so stuffed I don’t think I’ll need to eat again until the Holiday Appetizer Roundup. When my family gets together for Thanksgiving, we often divide cooking duties, with each family providing one or two dishes. But the host always provides the turkey. So when I decided to host a virtual Thanksgiving Dinner, I signed up to provide the main dish. I’ve been known to mix things up for Thanksgiving — replacing the typical candied yams with sweet potato soufflé; serving cranberry compote in place of relish; even (once) making oyster stuffing. And my family is (mostly) tolerant of my experiments and exploits. But you don’t mess with the turkey. You season it. You roast it. You serve it. So when I saw this recipe in Ina Garten’s How Easy Is That?, I decided I’d better test it out ahead of time to make sure it was “traditional” enough for the Thanksgiving table. The unique thing about this recipe, and what immediately caught my eye, is the use of truffle butter to season the turkey and keep it moist. I checked several local stores but didn’t find it. I knew I could probably find some at Whole Paycheck, but the closest one is about 45 minutes away. 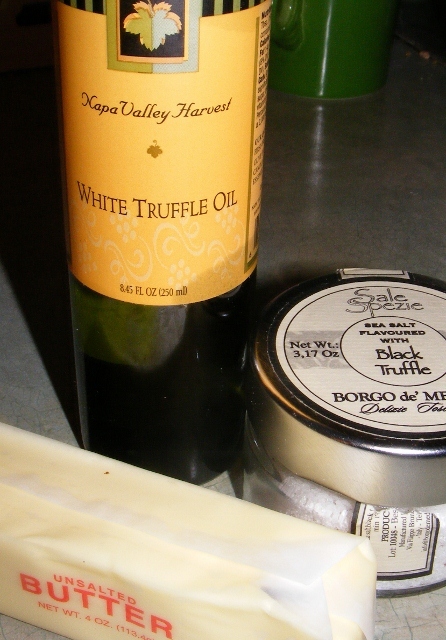 So I did what I always do in these situations: I made my own truffle butter. I made this turkey for dinner a couple of nights ago, along with a few other recipes I wanted to try out for possible inclusion on the Thanksgiving table (stuffed pumpkin with rice and peas; Indiana persimmon pudding; and stuffing made with buttermilk cottage dill bread). It was without question the best turkey I’ve ever had. 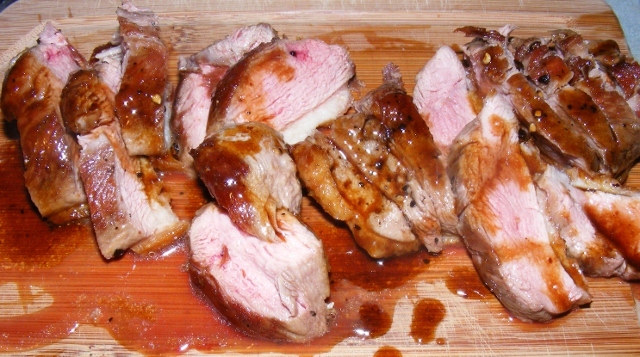 The meat was moist and flavorful; the skin salty, crispy, and delicious. Preheat oven to 325°F. Remove giblets and neck from turkey cavity, drain juices from turkey, and pat dry with paper towels. Generously sprinkle cavity with Kosher salt and pepper. 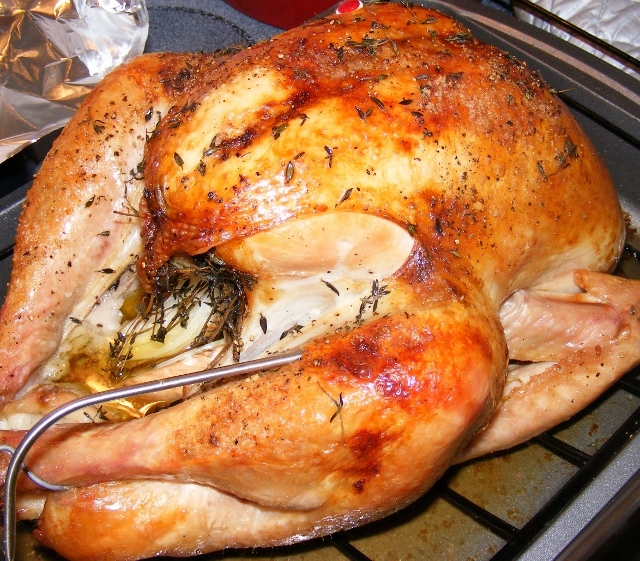 Gently work your fingers (wear gloves if you’re squeamish) between turkey skin and breast meat. 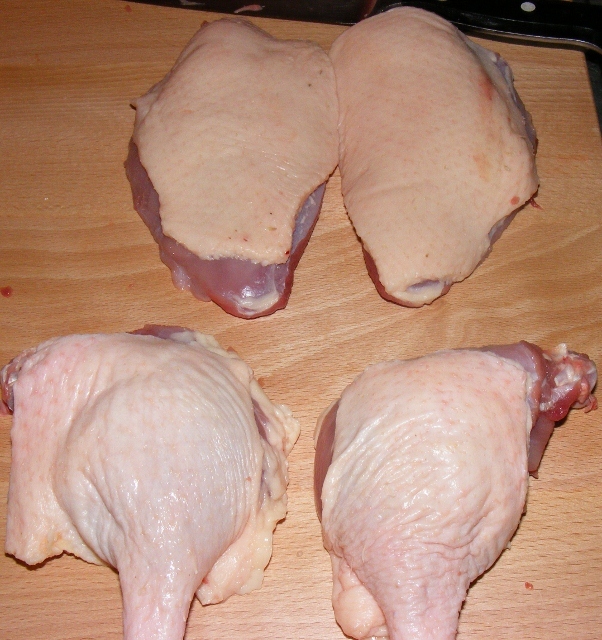 Loosen skin of breast, legs, and thighs. 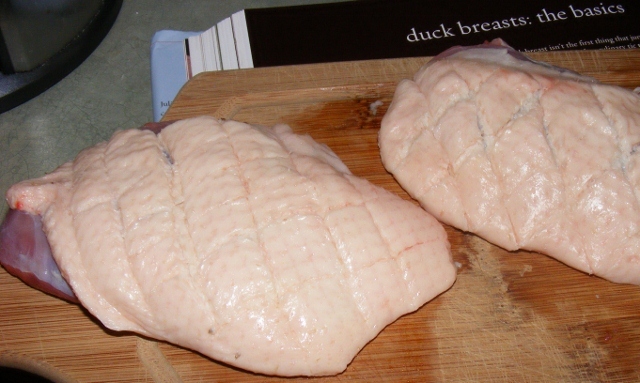 Rub about 3 ounces of the truffle butter under skin, covering breast, thighs, and legs. It’s easiest to do this by pushing butter under skin, then rubbing the top of skin to cover meat well. Place turkey, breast side up, in roasting pan. Stuff cavity of bird with onion, garlic, and 8 sprigs thyme. Tuck wings under body and tie legs with kitchen twine. Melt remaining truffle butter and brush generously over turkey (use it all). Sprinkle with truffle salt, freshly ground black pepper, and remaining thyme leaves, pulled from stems. 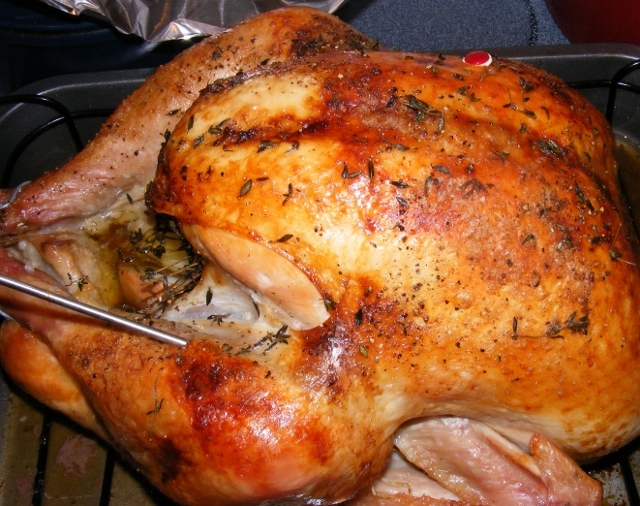 Roast turkey for 2 1/2 to 3 hours, until breast meat registers 160°F on a meat thermometer. Cover loosely with foil about halfway through roasting time to prevent skin from overbrowning. Remove from oven, cover tightly with heavy-duty foil, and allow to rest for 10 to 15 minutes before carving. While the turkey is resting, skim grease from pan juices (there will be a lot of grease), and thicken the juices to make a delicious gravy. This turkey is definitely making an appearance on my Thanksgiving table. And I suspect it will be making repeat appearances for years to come. We’re having Thanksgiving dinner at my house this year, so I’m responsible for the turkey. And I’m hosting a virtual Thanksgiving Dinner Roundup for some of my friends this weekend, so I needed to try out a turkey recipe that would fit into the Roundup and, hopefully, be worth repeating on Thanksgiving Day. I found a recipe by Ina Garten that looked really delicious. In fact, I probably would have tried this recipe even if I didn’t need it for the Roundup and Thanksgiving. You’ll have to wait until Sunday to see my turkey post, but I can tell you that one of the key ingredients is truffle butter. 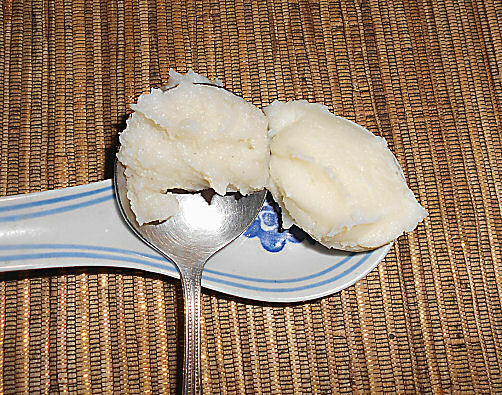 I’m sure truffle butter is easy to find in the Hamptons, where Ina lives. In Stow, Ohio — not so much. I checked several stores before I decided to try making my own. After surfing the ‘Net and finding a number of different methods for making it, I came up with this recipe. It’s simple, and the results are wonderful. 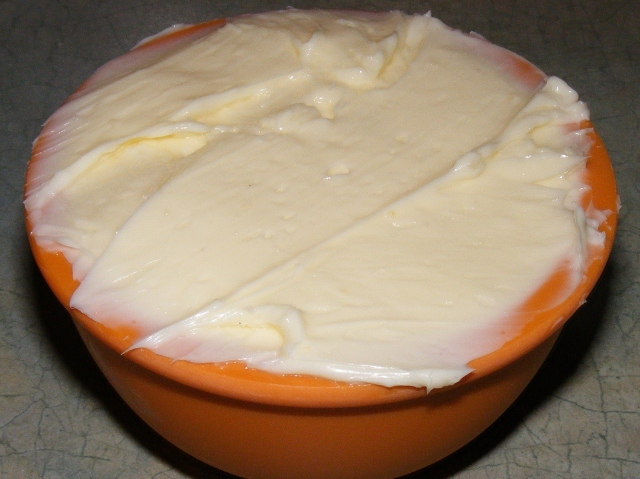 Mix butter, oil, and salt in a small bowl. Taste for salt, adding up to another 1/2 teaspoon, if needed. Cover and leave at room temperature if you are going to use within a day or two. Refrigerate or freeze for longer storage. A word of warning: when you taste the butter, you may find yourself wanting to eat it by the spoonful. It’s that good. Once you discover how easy and delicious this butter is, you’re sure to find many uses for it. And if you do, I’d love to read about them in the Comments section below.